Planning business meetings can be a nightmare for business owners who provide certain services. Proper distribution and scheduling can take a lot of time. If you make a mistake and skip one of these meetings, it can negatively affect your final income and your reputation. 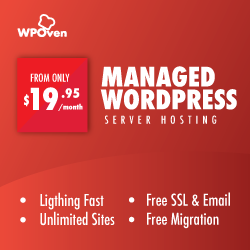 Fortunately, there is one simple and effective solution that will help you in this matter: use the WordPress plugin. There are a lot of useful tools, and in this article, we will try to help you find the right one for you. We chose the ten best WordPress calendar plugins and provided all the necessary information to help you choose the right option for your business. Using online tools for scheduling can not only save you from loss of productivity due to human error but can also increase your profits. Given the huge number of online services that can automate the entire process, nowadays it is simply inefficient to keep all planning by hand. The fee (usually small) for services of this kind is more than compensated for by reducing the number of errors and increasing productivity. According to the ScheduleOnce opinion, the use of such online tools can increase the advertising efficiency by up to three times. Also, a good service will help you reduce the amount of time and money lost through the fault of the client who did not show up for the meeting. There are special reminder functions that help the client not to forget about the meeting or cancel it if circumstances change. Well, we hope that we have convinced you of the usefulness of such services. And this means that it’s time to go directly to the WordPress plugins review! Let’s start with a simple, practical tool, in case you are not yet ready for drastic changes. As you might guess from the title, WP Simple Booking Calendar allows you to display the reservation calendar on your site. It’s convenient to show dates when you are available or, for example, to display a schedule for booking any goods. Of course, this plugin will not be able to display hourly charts or will not allow users to actually book a product or service, but it is terribly easy to use and great for those who are looking for an option without any bloats. … that’s all, we warned that this is the simplest option. SuperSaaS offers solutions for businesses of any size. There is a free version, which includes advertising and limits for upcoming meetings (up to 50), as well as maximum registered users that you can add to your business. There are five different paid versions, which basically differ in the number of maximum upcoming meetings. The plugin may seem very simple, but considering that it can process up to 1500 simultaneous meetings and save the previous orders in the system for viewing payments, we can say that this is a fairly powerful tool. You can start the booking process on their demo site or see their extensive documentation for more details. Many options for customizing graphics, booking fields, and drop-down lists. Allows you to set a parameter that will adjust how many days in advance you can reserve an event and limit the number of orders from one user within a certain time. Payment can be made in person or online via PayPal. You can give discounts to regular customers for future online payments. The SuperSaaS reservation system can be integrated with external calendars such as Google, Microsoft Outlook, and iOS, which allows you to track future meetings without logging into WordPress. As an administrator, you can grant the right to manage meeting schedules for other WordPress users. Provides detailed reports for each client, including their reservations and payment history. Available in 28 different languages, and supports several currencies. BirchPress Scheduler is a booking meetings manager, created specifically for small business owners. Among the examples that we found on the plugin page were SPA salons, yoga studios, photographers’ sites, etc. In a word, not the companies that are on the Fortune 500 list. In addition to processing customer meetings, BirchPress Scheduler can also work with tasks and schedules for staff, which makes it doubly more useful for business managers. The paid version provides a more powerful set of features, including email notifications for administrator and users, confirmation messages for clients, automatic filling for regular customers, color marking, group orders, support for multiple online payment systems. There are several price options for the premium version for different enterprises (annual plans). Learn more about them and choose the right one for your needs. Reservations can be made taking into account the specified service duration, a break between clients and a cost information. If several professionals are involved in your business, then when ordering, a customer can select a certain employee and the type of service. The plugin allows you to directly assign specific employees to different tasks. It is possible to add, edit or delete meetings via the console. Prepared booking forms that can be integrated into responsive themes. Support for multiple currencies and history of customer payments. Event Calendar WD helps you organize upcoming events using elegant design. To display calendar events, you can choose all four display options at once or select only those that you prefer. The calendar of upcoming events uses the following display options by default: for the month, week, day and a list. With this plugin, you can display lists of upcoming events, a large calendar, event calendar widgets or small widgets. It is convenient to add events to bookmarks. This plugin offers a detailed parser for the calendar — it perfectly copes with most of the tasks for classifying events. This plugin is installed as a widget that shows upcoming events. If you want, you can use it to automatically import the holidays from the corresponding web service. This process is performed asynchronously, so it will not affect the website performance. This plugin adds upcoming events using two classifications: by event category and by the venue. It allows the user to add upcoming events simply as common posts with fields for displaying start time, end time, category and venue. Also, you can easily create events that repeat weekly or bi-weekly. The plugin displays upcoming events in a list in the widget area in the user part of the site. Here you can add upcoming events along with the title and description, start date and end date, venue. You can select the area where you want to display the widget. Many plugins that manage the calendar, cut the headers, and users have to hover the mouse to view the full text. Localendar allows you to easily set up a calendar on your site. You can give the calendar the appearance you need, regardless of whether you use the theme editor (no coding is required) or custom CSS. Using the Event List plugin, you can add upcoming events in the WordPress admin area. Here you can specify the name, category, description, as well as the date and time of the event. It is possible to manage several different events scheduled for one day. It is also possible to manage events that are repeated yearly, monthly or weekly. Also, using the Event List Calendar, you can set the end date. In this review, we tried to consider the most popular WordPress calendar plugins. It is not necessary to choose the most powerful option. Choose the one that is right for you. Save you the time you spend on event planning. Provide users with all the necessary information. Naturally, these tools will not be able to create a miracle, but with them, your business will work much easier and more efficiently.